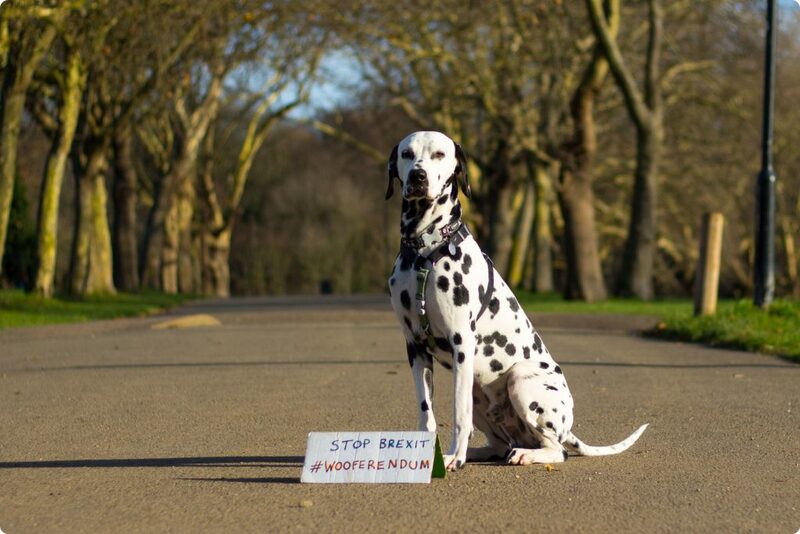 Does your dog think Brexit is barking mad? 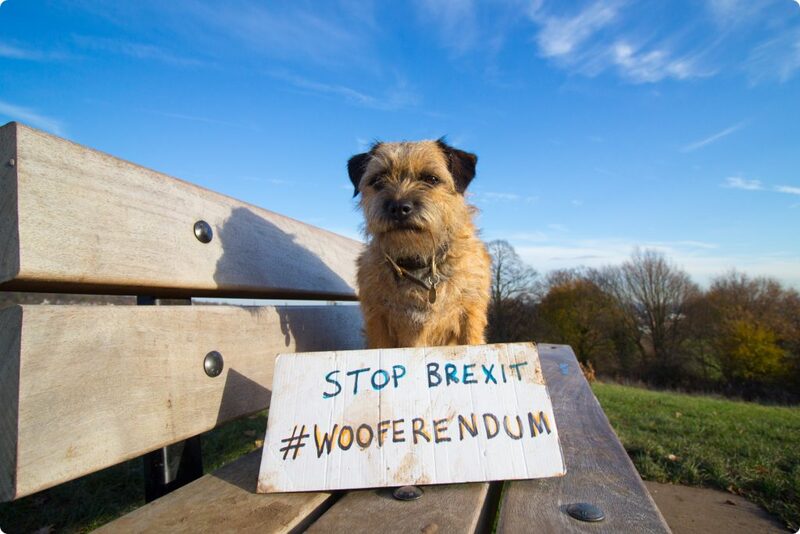 If so, it might want to join the Wooferendum, a growing movement of canine campaigners on a mission is to send Brexit to the doghouse. On Sunday 7th October, thousands dogs are planning to march through central London to Parliament for the Wooferendum march. 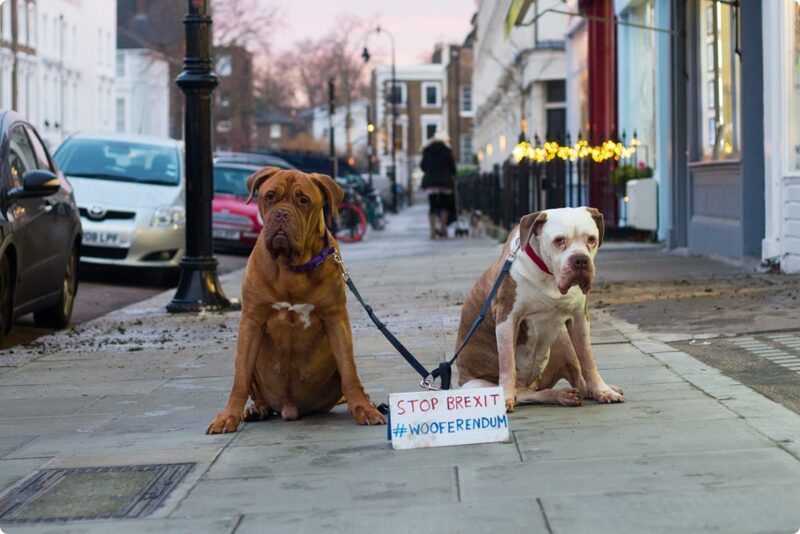 On the dull horizon of Brexit uncertainty and confused talks, here appears a heartwarming and somehow reassuring fellowship, ready to start its march: the Wooferendum crew. 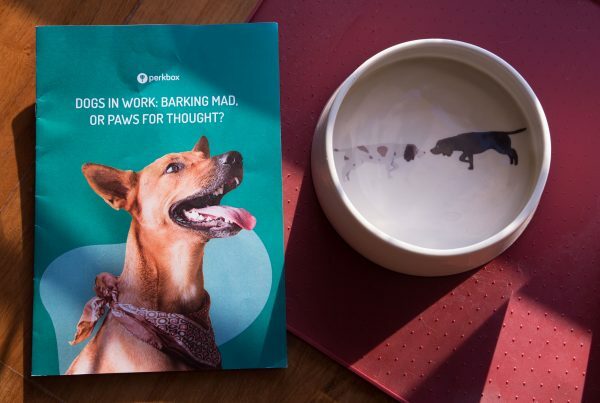 We chat with Daniel Elkan, founder of the Wooferendum (who also kindly provided all the lovely photos featured in this blog post), about the initiative and what canines are looking to achieve for their humans. Rather than posting the pictures on social media himself, Daniel would print out the photos and put them on bus stops and lampposts, and give them to pubs and cafes to display. 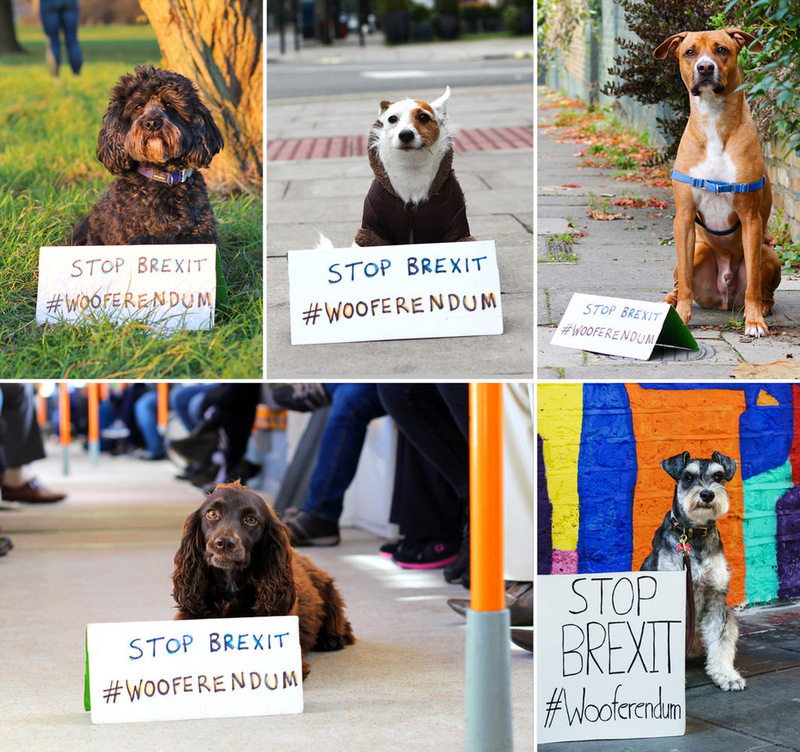 Although the campaign’s main message is that dogs are barking out to help their human friends, Brexit poses a significant threat to pet welfare, according to Dominic Dyer, a leading animal welfare campaigner and one of the co-organisers of the Wooferendum Dog March. There may also be serious inconvenients for pets travelling across the border to the EU, in the event no deal is reached. In fact, as per the Government’s guidance released on 24 September, the UK would become a third country for the purposes of the EU Pet Travel Scheme, opening three potential scenarios. In the best hypothesis, the UK could become a “listed country”, with minor changes to current policies; the second scenario would see some further (annoying) requirements introduced. In the worst of the three potential scenarios, burdensome requirements in terms of documents and health checks would be introduced, including a blood titre test for rabies antibodies. The route of the march, from Waterloo Place near Piccadilly Circus, via Trafalgar Square and down Whitehall into Parliament Square, is a 1.2km distance. The Metropolitan Police has agreed to close roads for the march. At Trafalgar square there will speakers and presentations. “We are inviting public figures and celebrity dog owners to speak, along with animal welfare campaigners and dog charities,” Daniel says. 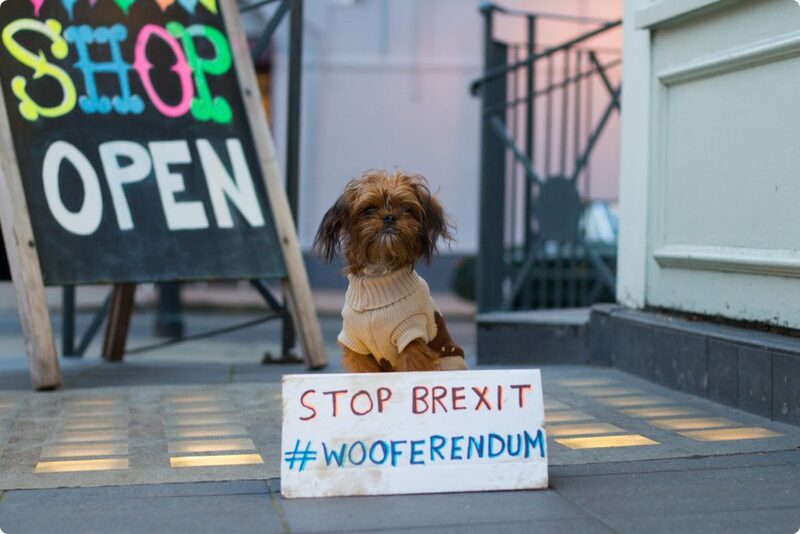 The campaign has seen a flurry of activity on social media, with people posting in photos of their dogs with ‘#Wooferendum’ signs, in support. The march is looking like it is going to be quite a memorable experience. 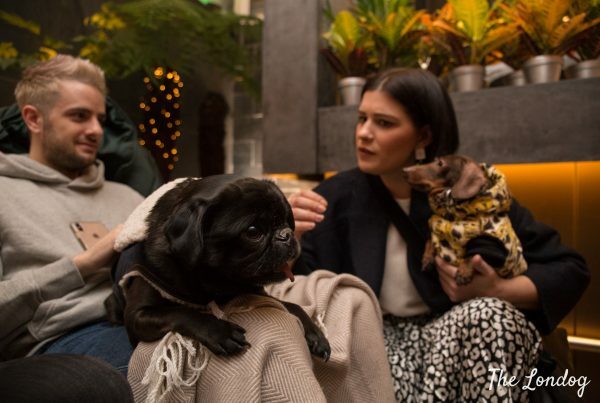 Apart from the spectacle of thousands of dogs marching through central London, Daniel and fellow organisers are planning best-dressed-dog competitions, best placards, dog-whispering on stage, and treats from dog companies. Humans can have their faces painted as dogs too – and friends without dogs can come and march behind the dogs in support. 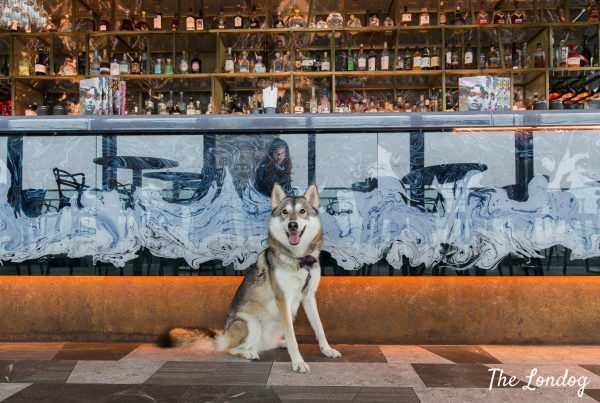 To help pay for the costs of the march, the Wooferendum has created a crowdfunding page, featuring rewards donated by companies and dog services such as Ellery Bow, Pet Hates Toys, Posing Pooches, Hairy Hounds of Hackney and others. Will Larry the Chief Mouser to the Cabinet Office and Palmerston the Foreign Office Diplomog help support the cause? The Wooferendum march gathers at on Sunday 7th October at 12pm at Waterloo Place, SW1Y 4BE. The route walks down Pall Mall, past Trafalgar Square, into Whitehall, past Downing Street and into Parliament Square, where a Wooferendum rally will be held. You can find more information of their official website and on their Facebook event page. To support the cause on Crowdfunder visit this page. Don’t forget to check the ‘wooflet‘ too! S E E Y O U T H E R E ! Credits: All photos in this post are courtesy of Daniel from Wooferendum. Read the blog post about highlights from the WOOFERENDUM MARCH. My George is a rescued greyhound, born in Ireland. What would have happened to him if we hadn’t been in the EU? We are Europeans!